Zeman said that his statement on the Crimea is his "personal opinion"
Czech President Miloš Zeman will not apologize to Ukraine for the statement that the Russian annexation of the Crimea is a "completed case". He made a relevant statement on air of a Czech TV program. Zeman said that this was his "personal opinion". “[Ukraine] could demand an official apology, if it was not my personal opinion, which I had publicly stated,” he noted. The President went on saying that he would not apologize for his personal opinion and stressed that the annexation of the Crimea was illegal. "But what's important: Crimea is in Russian possession, and I can not imagine any Russian government that would renounce the Crimea," Zeman said. 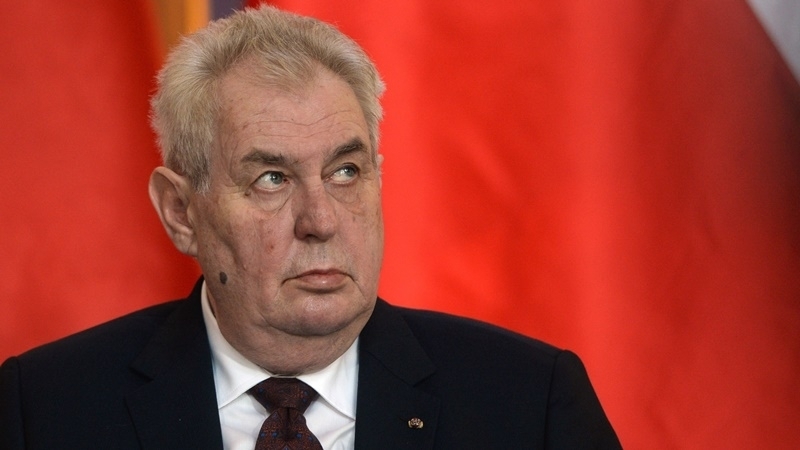 Earlier QHA reported that the Senate of the Czech Republic accused President Milos Zeman of an attempt to legitimize Russia's aggression against Ukraine. This decision was supported by 38 of 47 senators present, three were against, six abstained. The senators believe that Zeman should respect the foreign policy of the Czech Republic. Previously, on October 10, the President of the Czech Republic said that Ukraine's loss of Crimea is a "completed case", and proposed legalizing it by paying compensation to Ukraine.